Calling a metal album 'relaxing', regardless of its sub-genre, might be taken by some as a bit of a rip, but in the case of Northern Oak's sophomore Monuments, the term is only too accurate in describing its chill and beautiful atmosphere, drawn directly from the band's native English environment and fashioned into a heady concept album which creates a sort of window to a window, each track a dying Victorian scholar's rumination on some folklore or his own storied past. This at once casts the album into a unique and breathtaking glow, as the band's compositions speak volumes in both desperation and happiness, arriving in myriad structures that conjure both rustic regret and the triumph of melancholy. There are of course exceptions to the album's soothing nature, in particular the opener "Sun God's Wrath", a storm of sullen bombast which introduces us to the meticulous riffing, fluid bass lines, haunting flutes and ample synthesizers, all anchored in the rasped vocals and solid hand and footwork of the percussionist. 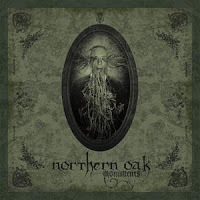 Northern Oak throws a lot at you: a hybrid of black, folk and progressive metal, but the varied instrumentation is so seamlessly integrated that you would never know the things to be distinct from one another. It's interesting that it opens with such a heavier track, because for much of Monuments' 54 minute play-length, we're treated to elegies of slow, lush sadness and majesty that stand at a nexus of Falkenbach, Jethro Tull and Pink Floyd. "Gawain" with its steady escalations, impressive guitars and strangely addictive flutes; "Into the Forest" an narrative with an accompaniment of flutes, synths and acoustics; "Arbor Low" with its ale-spun guitar melodies and brief outbreaks of speed; "The Scarlet Woman" with its deeper, death grunts and morbid constitution. Almost miraculous is that Northern Oak has composed this without any of the stout silliness that pervades so much of the folk metal realm. You could easily close your eyes and picture yourself binging on acid through an obscure glade, sunlight optional, but there no brownies and elves waltzing through the eves here, nor a snickering redcap in sight. It's a sad and serious album, even the flute playing. 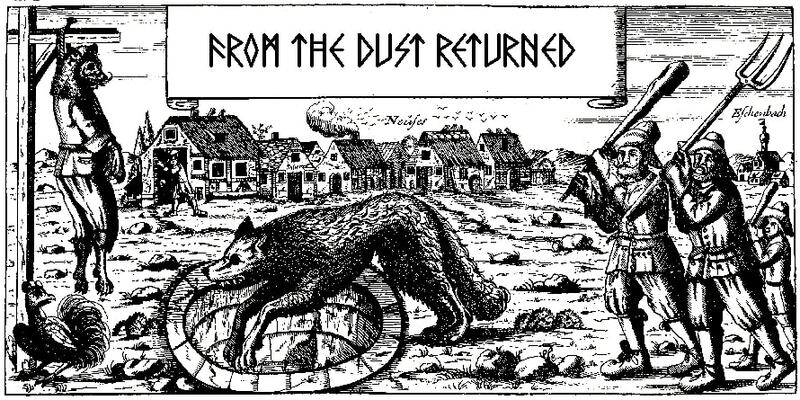 The mix is fairly organic, and I can see that some might be put out by that fact, but nevertheless you can hear everything quite clearly and the lesser fidelity does wonders to transport the listener into this swath of lost history and magical soil. I won't cite that the album is perfect, as I found a few tracks less revelatory than others ("Silvan Lullaby" in particular is not the cream of this crop), but it should be damned interesting to hear what they have in store for the future, and the band is just as worthy as A Forest of Stars or The Meads of Asphodel in micromanaging such versatile components into a sense of bewitchment.